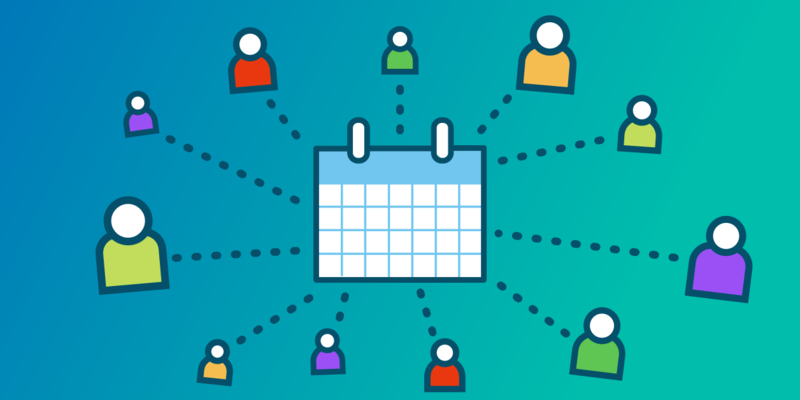 There are serious benefits to crowdsourcing events for your WordPress calendar. By acting as THE events hub for your community, you’ll attract new traffic to your website, increase your credibility, and provide your visitors with solid value. Not to mention, crowdsourcing events can save you major amounts of time. Instead of spending hours scouring the internet for content to add to your calendar, why not let the events come to you? Already set up to accept event submissions? Check out our tips for improving your community events calendar. Encouraging others to submit events to your calendar helps you (and your site visitors) hear about happenings you may have otherwise missed, and the folks submitting their events get free promotion, so it’s a win-win! Before you start asking people to share their events, you’ll need a process in place to accept those submissions. This is the lowest-tech option and can be accomplished by adding a contact form to your website or simply sharing an email address for people to send you details. While this is certainly a quick way to get things rolling, it does have some major downsides: event information may be submitted in different formats or contain incomplete details, plus you still have to manually enter everything on your site. You can save yourself from tedious manual entry by using a purpose-built event submission tool. Our Community Events plugin is a popular option for WordPress sites since it integrates directly with The Events Calendar. It adds an event submission form to the front end of your website so site visitors (aka event organizers or promoters) can submit events to your calendar. Integrating with your calendar directly is a major time-saver. The required fields are already on the form to make sure you get all the necessary event data up front, and when the event is submitted, Community Events automatically creates the event in your WordPress admin. Even better—you retain complete control. You don’t have to give up admin access to accept event submissions AND you control whether community events are automatically published or set to draft status so you can approve them at your leisure. Once you’ve got a process in place so people can submit events to your calendar, you’re ready to let the world (or at least your local community) know you’re accepting event contributions on your site. One of the best ways to thank people for submitting events to your calendar is by promoting the event for them. A quick shout out on social media is always appreciated. Event organizers will naturally want to promote their event listings on your site, too. Make it easy for them (and others) to do so by including social share buttons on your individual event pages. Using an import tool adds massive functionality to your calendar—you can pull existing events (where someone else has already done the heavy lifting) into your calendar from tons of sources. It’s a super effective way to crowdsource content and build a robust community calendar without investing tons of time or resources. With services like Event Aggregator (shameless plug), importing events from other websites is an easy process. You choose the import source from a dropdown, input the URL, and run through some quick configuration options such as setting up ongoing scheduled imports, publishing immediately or setting imported events to draft mode, applying filters to weed out events you don’t want to import, and a few other settings to make sure you have control over what events are added to your calendar. Not only is a well-populated, relevant community calendar useful to your audience, it’s also awesome for you. Regularly publishing new content keeps you on Google’s radar (hello SEO! ), helps attract more traffic to your site, and builds your reputation for delivering solid value to your community. Set aside a bit of time to optimize your game plan; it’s not hard to make it happen with these easy-to-execute recommendations.